We’re extremely excited to announce the release of our totally redesigned background check platform. Get ready for an all-around faster and more powerful experience. Our new platform is stylish and simple. It boosts productivity, saves time and helps you do background checks with ease. We designed our background check platform to work for you. 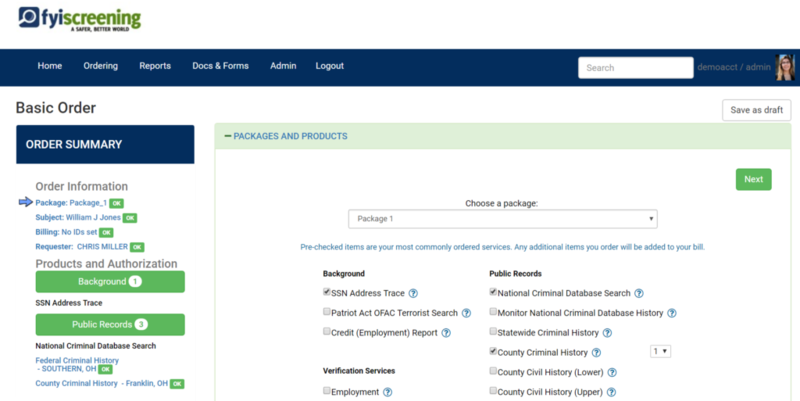 Our new, easy-to-use interface makes ordering background checks a breeze. View everything you need to know on our customizable reports page. Dig deeper if you need to see more. 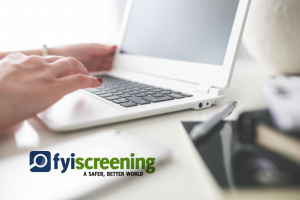 FYI Screening has teamed up with leading HR tech companies to deliver seamless, integrated, FCRA compliant background check solutions that will make your life easier. These integrations create a more streamlined hiring process for recruiters and hiring managers, allowing them to make smart hiring decisions faster, while saving time and money and improving the candidate experience. We are pleased to announce our new certified integration with myStaffingPro. 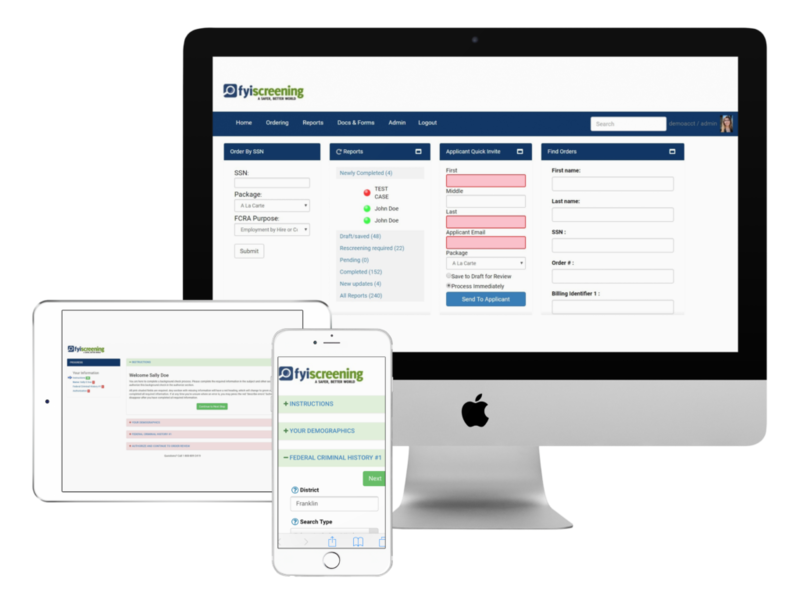 This integration allows myStaffingPro users to perform legally compliant background checks through an easy, seamless system. This integrated solution will improve hiring and screening efficiency, eliminate duplicate data entry, minimize data entry error, and ensure consistency in the hiring and screening process. myStaffingPro, a full-featured SaaS applicant tracking system, provides HR professionals with the tools they need to recruit, qualify, track, and hire the best applicants. The scalable myStaffingPro system can be configured to any hiring process or budget. myStaffingPro currently delivers the hiring process for more than 500 companies and has processed more than 20 million applications. To learn more about myStaffingPro applicant tracking system, visit mystaffingpro.com or follow @mystaffingpro. Go beyond ordering and reports – simplify HR management and tap into powerful tools. Our client module gives you access to features that streamline the whole screening experience. Happy Holidays from FYI Screening! Happy Halloween from FYI Screening!